We’ve all had or been around tiny trucks at some point in our lives. Whether you have fond memories of driving them around your living room as a child or trying to squeeze in one and then race it down the road as a slightly drunk teenager (that’s definitely not me writing from experience there…), toy cars are the basic building blocks of any motor enthusiasts life. So imagine our excitement when we found this video of a VW Minibus being given a new lease of life – get your tools ready because this is one that you’re going to want to try out at home! This one is not for living the van life… that’s for sure. YouTuber Peter Sripol makes crazy things, sometimes (ok, mostly) involving fire! If you can add a motor to it or modify it in any way to make it 100 times better, then Peter will find it and video the process for your viewing pleasure. That’s exactly what he’s done with this VW Minibus, converting it from a child’s push around toy into a gas powered mini camper that was the need for speed! Can I Make My Own VW Minibus? 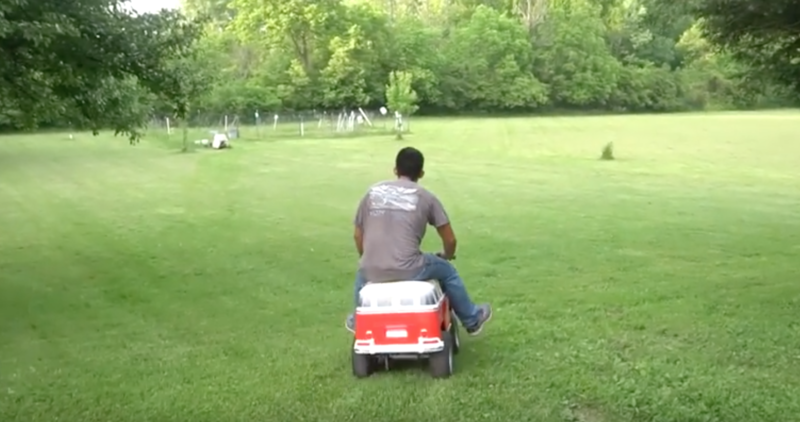 Using a motor kit from Amazon and other easy to purchase parts that he’s sourced from the various corners of the internet, Peter has turned this iconic miniature motor into a nifty way of getting about town. 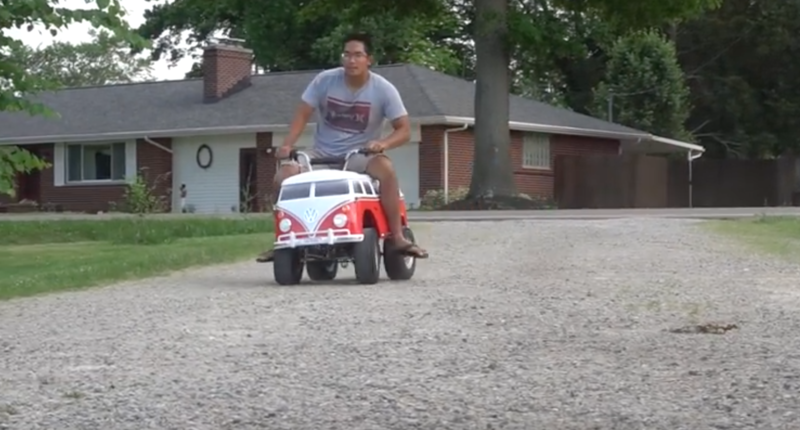 By following the simple steps on his YouTube video, you too can make your very own gas-powered VW Minibus for one – it might not be very good for taking the family on holiday though, and storage is a little limited! If you’re looking for top campervan conversions on a miniature scale, then give Peter’s video a watch, and then stick around to check out some of the other genius ideas that he’s brought to life. Who knows, maybe you’ll be able to afford the VW minibus of your dreams after all! This VW Camper might not be a minibus, but it certainly has more seats. Take the VW love further with this replica VW Bus tent! Still not satisfied? This rare VW Camper should do the trick!